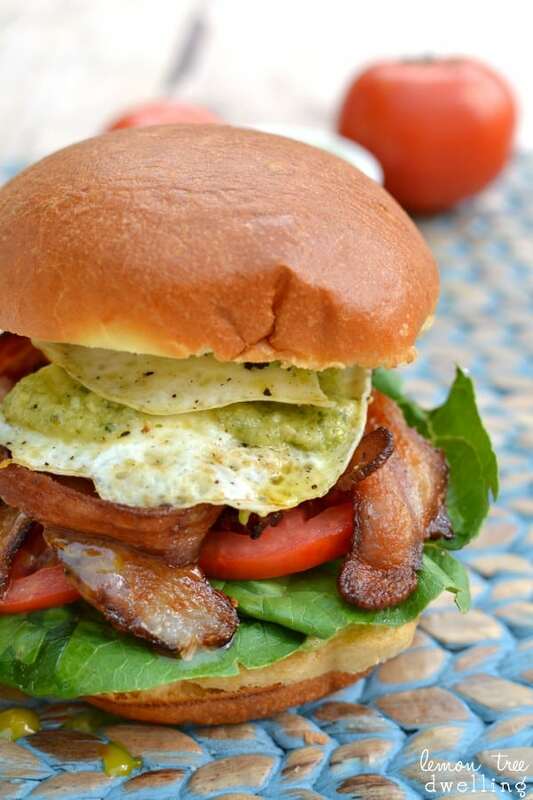 A classic BLT topped with pesto mayo and a fried egg. Delicious for breakfast, lunch, or dinner! Happy Monday, everyone! How was your weekend? Here at our Lemon Tree Dwelling things were BUSY! Not only did we have a good friend visiting from Chicago….which meant a Friday night out for me and some friends…..but it was Jorden’s birthday weekend! Which meant a date night out for the two of us, golfing and brunch for Jorden and the brothers-in-law, and dinner at his parents’ on Sunday. Definitely busy…..but so much fun! All in all, a success! To be honest, I hardly had the chance to feel hungry between all the deliciousness…..and the last thing I was thinking about was any type of snack between meals! But guys are different, and their hunger levels are different. And, after all, it was HIS birthday weekend…..! So it didn’t surprise me when Jorden saw this bad boy BLT in the fridge and asked about it. Despite the fact that he had just downed pizza and cheese bread. To be fair, he didn’t end up eating it. Instead, I made us egg sandwiches for breakfast on Saturday. 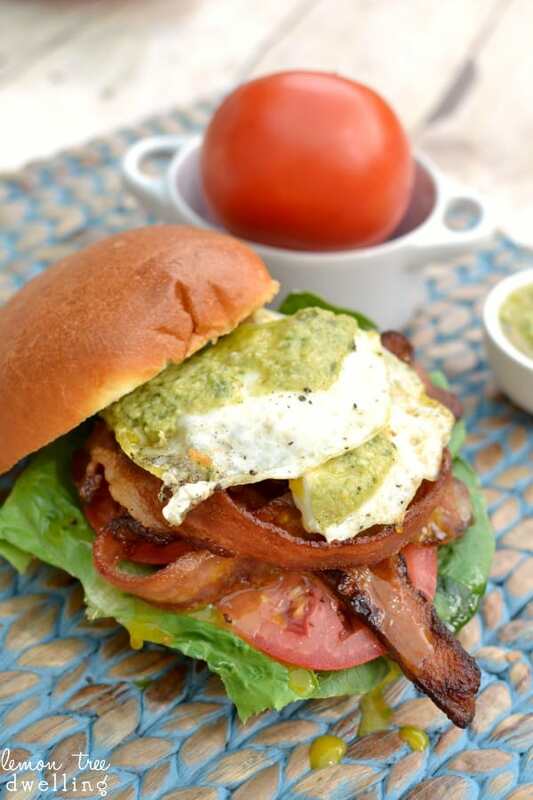 And although the rest of the weekend was spent devouring delicious food, something tells me a Fried Green Egg BLT is all he really would have needed to feel happy, content, and celebrated. Because guys are like that. Which is one of the reasons we love them so much! 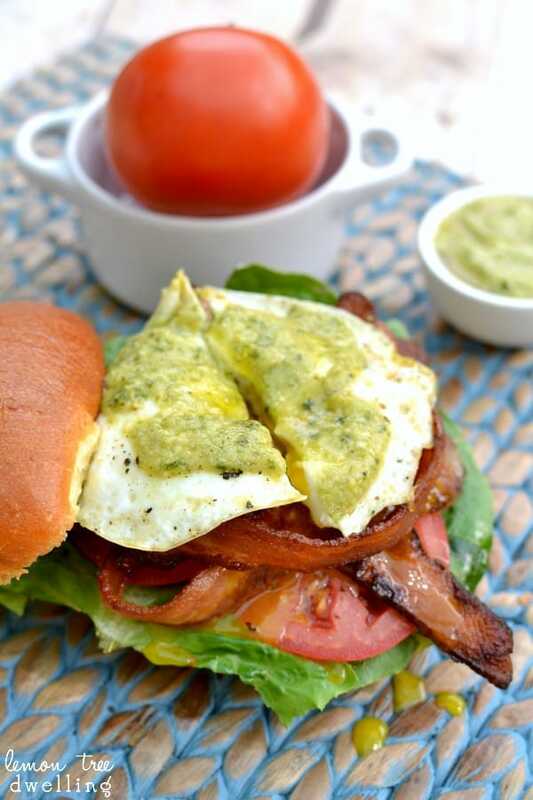 It doesn’t take much to make them happy….especially when bacon and eggs are involved. 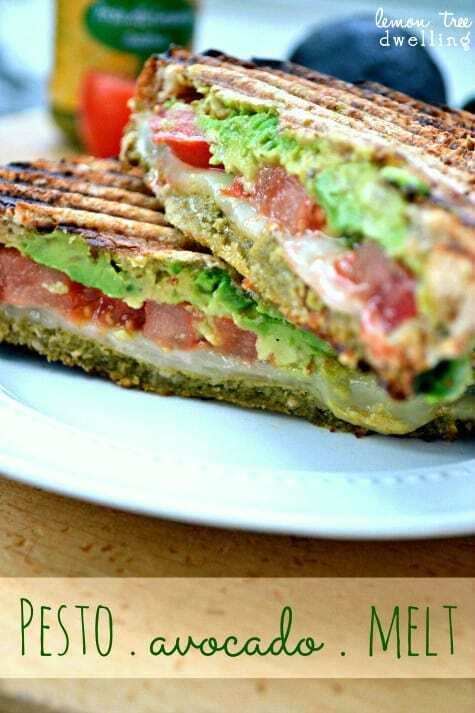 Spread pesto mayo on bottom half of sandwich roll. 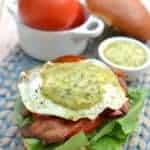 Top with fried egg and additional pesto mayo. 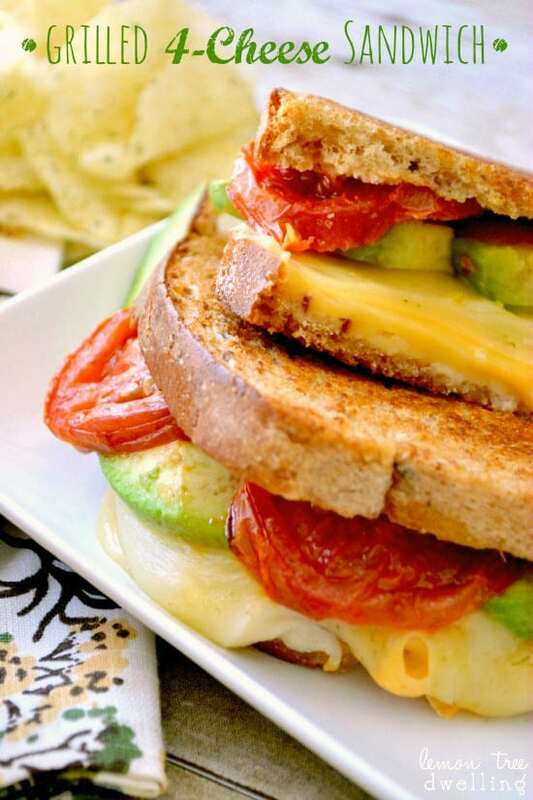 Looking for more delicious sandwich ideas? Sounds like a great weekend. Happy Birthday to Jordan!! Cathy, it sounds like a fun weekend and belated happy birthday to Jorden! 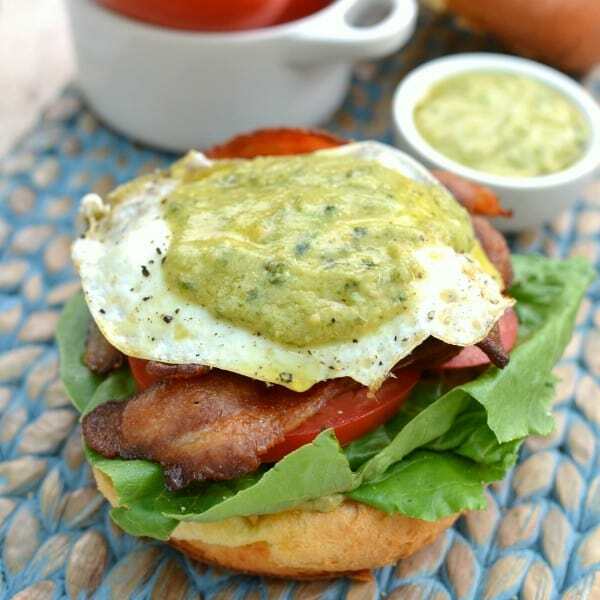 You are so right about bacon and eggs – they definitely makes the guys happy! 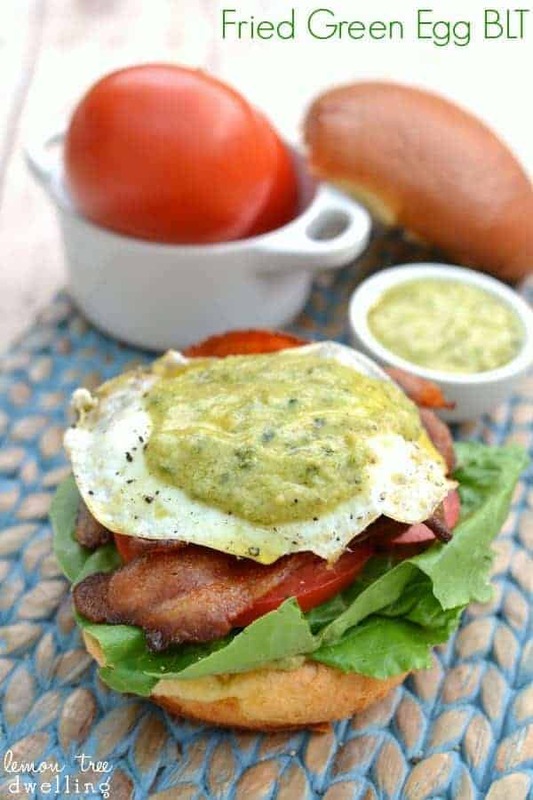 This sandwich looks delicious – we wind up having “breakfast” dinners a LOT and this would be a great change from the usual! Thanks for sharing and pinning! It amazes me how much my husband can eat sometimes (and never gain a pound). I’m totally jealous! What a weekend you had! 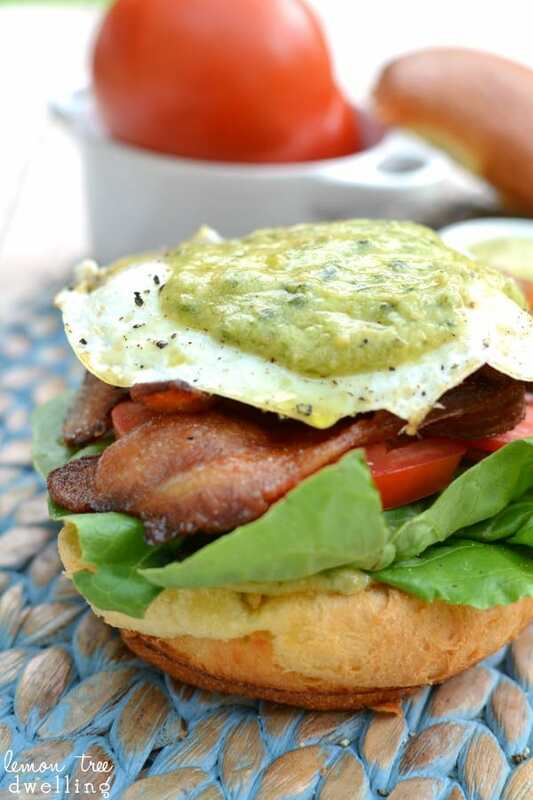 The only way I like to eat eggs is fried and putting them on BLT’s is just perfect! I love this Cathy. We know all about eating our way through birthdays. Today is my birthday and I’ve already had a pumpkin spice latte and a donut! 🙂 This sandwich looks amazing! 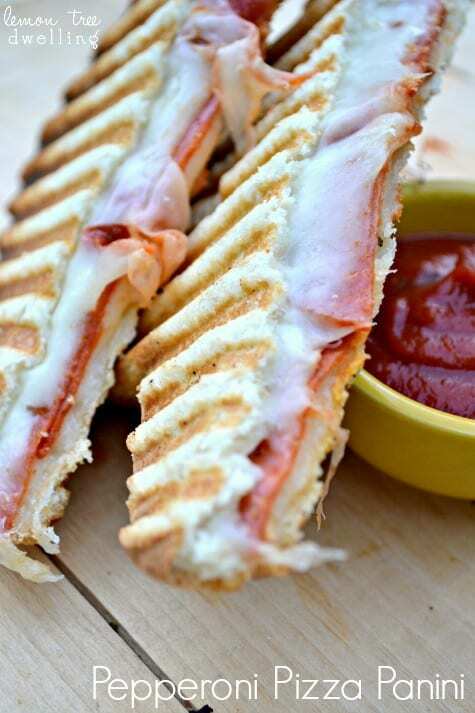 This is a sandwich I know my family would love! That sounds absolutely incredible Cathy, love the pesto mayo on top that just finishes everything off! Oh I love this! 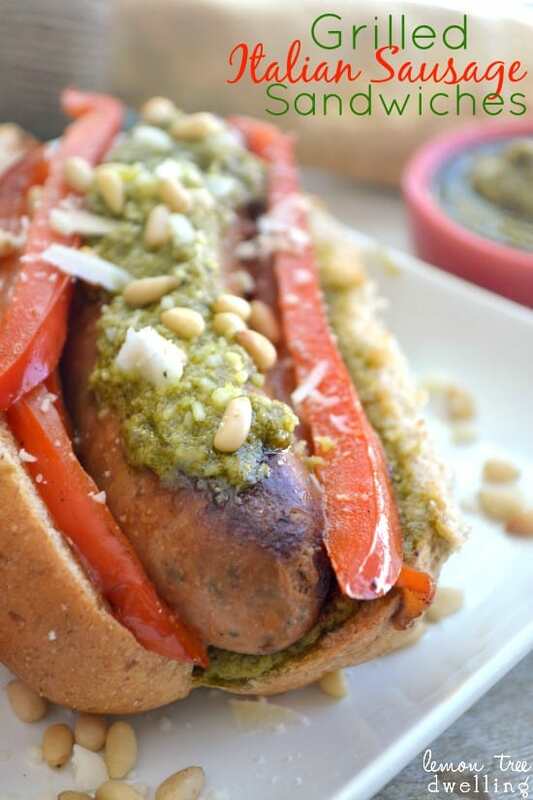 I would have never thought to add pesto! Such a good idea!